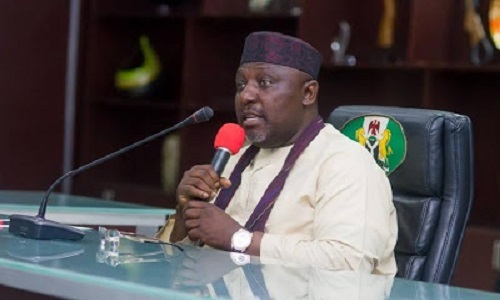 Imo State governor, Owelle Rochas Okorocha, has called on his Ndigbo kinsmen to stop wasting resources in developing other land. He asked them to return to the East and set up their businesses instead of helping other states like Lagos, Kano to grow. Okorocha stated this while commissioning a hotel in Arondiziogu in Ideato council area of the state on Tuesday. The governor further directed the ministry of Works to assess the cost of drainage and asphalting the road leading to the area.